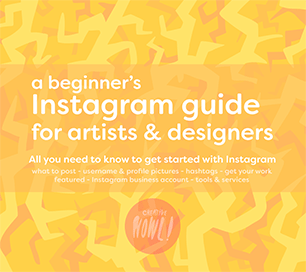 Managing your Instagram page as an artist or designer can be quite the hassle, you need to come up with new content all the time and keeping track of everything can sometimes feel overwhelming, but fear not, in this guide we’ll go over some of my personal favourites when it comes to Instagram tools to help manage my art & illustration page. 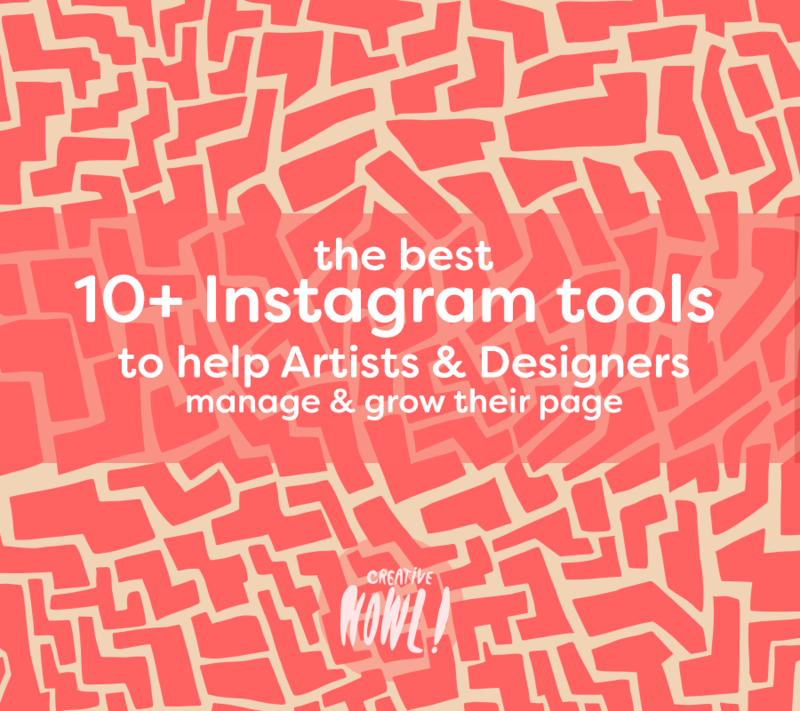 Hopefully you’ll find something in the list that will make your Instagram life easier. Later.com is a Instagram tool that let’s you schedule posts and even automatically post to Instagram. You simply connect your Instagram account to Later, and then you can upload and manage & schedule your next posts. If you have a Instagram Business account (free for anyone to get in the Instagram app) you can even have your schedule posts automatically posted to Instagram. If you don’t have a business account you’ll instead use the Later app to post your schedule posts. For me it’s been great to be able to schedule post for the week and have them auto post throughout the whole week, I’m not the best Instagramer and with Later I don’t have to think about what I should post to Instagram each and every day. Zapier is a tool that let’s you automate and connect different social platforms & apps with each other. There’s thousands of different solutions and automations that you can create with Zapier. I use it with my Instagram so that when I post something new that post also gets posted on my Facebook page, if I wanted it to I could have it post on Twitter, my blog, on Pinterest or any of the other platforms supported by Zapier. Zapier has a free option that’s limited to 5 different zaps and 100 tasks/month, there’s also premium options that starts from 20$/month. IFTTT is a similar service like Zapier that let’s you automate and connect different platforms. 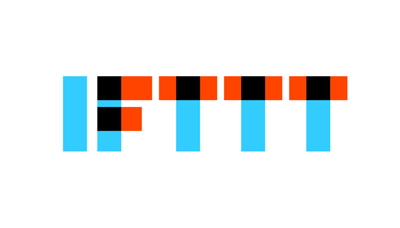 If you’re looking to use Zapier’s free plan but feel it’s a bit limited I would suggest you also create a IFTTT account and use both services for different things, take advantage of both their free services and upgrade later on if you feel like you need more options. Repost is a IOS & Android app that let’s you post other people’s images on your own Instagram. The app is easy to use and also free, the free version will attach a watermark to every image you repost (showing where the original content is coming from), if you want the option to remove that watermark you can pay a few dollars to unlock that feature, but keep in mind that you should always include a link to the original source when reposting! As an artist reposting someone’s post can be great in numerous ways, for me it’s been great to use the repost app when I found customers that has bought my illustrations and sculptures then shared it on Instagram, I always ask for permission before reposting stuff like that, but it can be really fun to have photos of your work in another persons home. 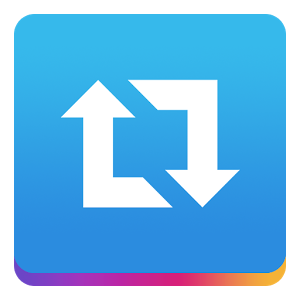 Reposting can also be great if any company you worked with has published your work somehow, then you can easily use the repost app and get that content on your feed. You’re only limited to one link on your profile on Instagram and that can be quite limited. With Linktree you can create a link with multiple destinations. You can customize where your Linktree page should be linking to, it could be to your portfolio, your shop, contact info, a recent project or anything ells. I don’t personally use this tool but I know many that do, I don’t really need it because my portfolio is optimized and easily navigated on mobile, but if you’re after a cleaner & easier way of sharing links though your Instagram profile this could be something for you. 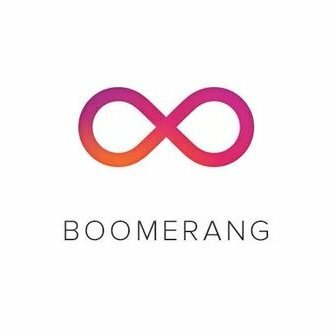 Boomerang is a Android & IOS app that let’s you create short videos (a few seconds) that loop back and forth, it’s a very simple app and “boomerang” effect of the video is a good starting point for any eye catching Instagram post. I use Boomerang when I’m out of ideas on what to post, I can then just take a sculpture or illustration of mine and create a piece of content that looks good, it’s just a nice tool to have when creating posts. 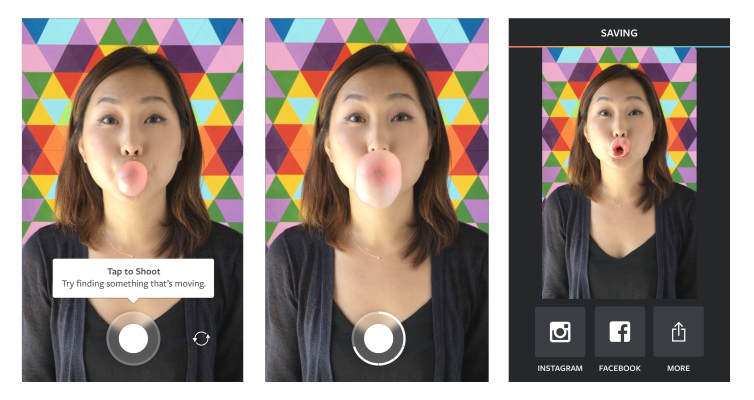 The app is free and made by Instagram itself, so you can expect full integration with Instagram and Boomerang. 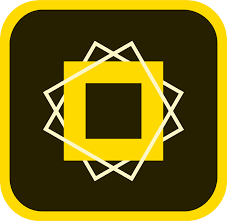 Adobe Spark post is a great app if you’re looking to add text or simple graphics to a image or video on your mobile device, the app is designed to make content creation and editing for social media as simple as possible. 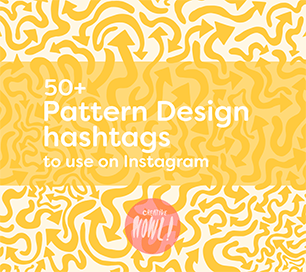 I occasionally use Spark to add my logo on image to watermark it for Instagram, or to add text to any of my patterns to post when I have any news updates about my work. If Adobe spark isn’t for you but you’re looking for something similar when it comes to graphic design and text editing for mobile you can check out Legend, this app let’s you add text animations to your images & videos, there’s plenty of templates to choose from to help your content to look great. The app is available for IOS and is free to download. If you’re a artist or creative person and want to take your Instagram more serious it could be worth it to switch over your account to Business account, doing this is free and available for anyone, and by doing so you’ll get access to a bunch of different statistics about your followers and your posts. Every time you post something new you’ll see how many saw your post, how many saved it and if anyone click though to your profile via that post, this is great if you want some insights on what kind of content works the best for you and your page. You’ll also get stats on your followers, where they’re from, gender, age groups and when your followers are the most active during the day. There’s plenty of sites, services and tools that offers stats about your Instagram page but for me switching over to a Business account have worked the best for me just because how easy it is to setup and the stats that I can see. You can switch over by heading over to your settings in the Instagram app. Growing your page and getting more followers on Instagram can be a real struggle. 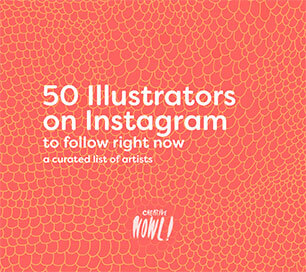 To help you a little bit with that we have a list here on Creativehowl that consist of big Instagram pages that regularly share and features artist on Instagram. 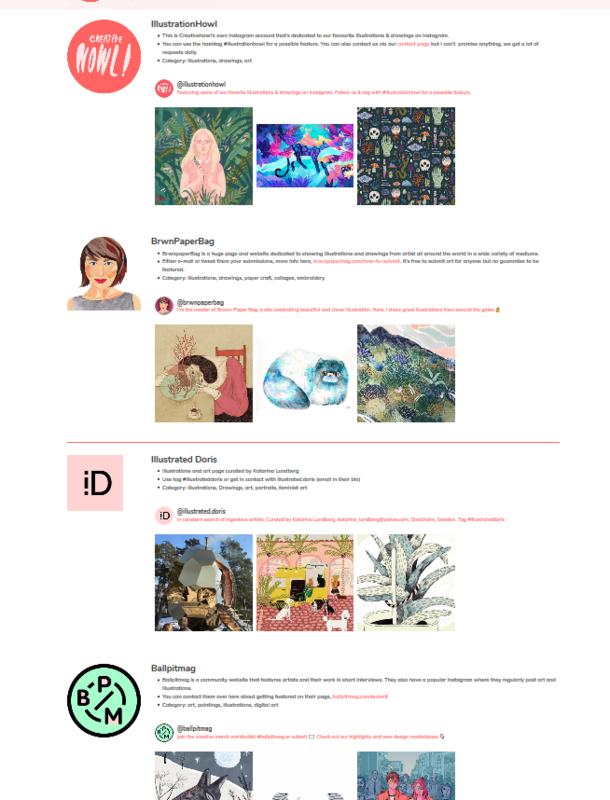 It’s a mixture of art, illustration and design pages that are either free to apply for a feature or pages that you have to pay to get a feature. Getting featured on these pages might not be a easy task but it’s defiantly worth a try because if accepted you’re going to get a lot of eye balls on your page! You can find the full list over here, Instagram feature accounts directory.